Home / Opinion / AFSPA’s acid test? The propriety of “releasing” to the media a petition filed in court even before cognisance has been taken of it is an issue upon which the apex court will have to be decide. The splash in the newspapers of a petition filed by the father of the Army officer against whom an FIR has been filed by the Jammu and Kashmir police for the recent killings in Shopian makes for powerful reading, and would certainly influence public opinion if not a judicial officer. Can such one-sided versions of a judicial action be permitted? That sections of the media have long discarded what was once integral to the journalistic Bible ~ presenting both sides of the story ~ is in itself a shame, but it assumes another dimension when it pertains to a matter being taken up in court. How the Supreme Court will react to the publication of an emotive petition will be of considerable significance. Yet probably of even greater significance is the judicial evaluation of a core point of the petition itself ~ the immunity to criminal action provided to military personnel on duty by the Armed Forces Special Powers Act. The chief minister of J&K approved the police action, called upon the defence ministry to probe the incident thoroughly, but the “military chorus” of retired personnel with some expertise in media-management has raised the AFSPA angle yet again. It would be premature to speculate on what decision the court will take on Lt Col Karamveer Singh’s petition seeking quashing of the FIR against his son, Major Aditya Kumar, but it will certainly involve another look at AFSPA: the petition mentions its “protection”. It could in fact be an acid test for the controversial legislation ~ circumstances were very different when its validity was initially upheld. What was then an “immediate” move to tackle a difficult situation in Nagaland has been extended to large parts of the North-east and J&K, and has been in force for decades. The immediacy of the 1950s move has been forgotten with time. 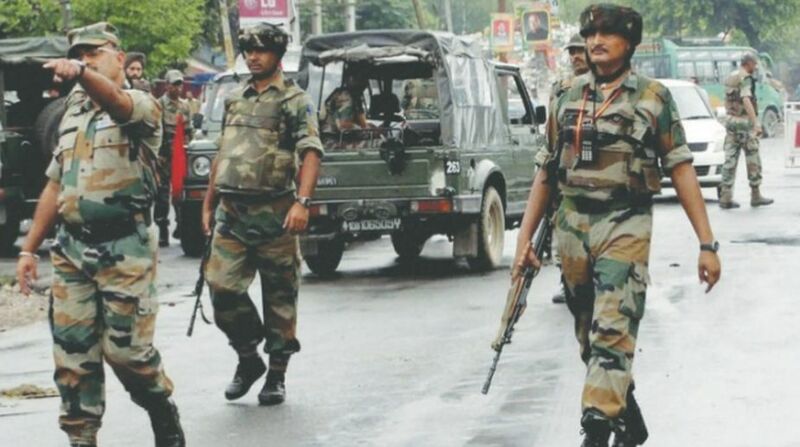 The Army has repeatedly asserted that counter-insurgency operations would be virtually impossible without AFSPA, accuse local political forces of needlessly flaying the forces for doing their job, thereby gaining “popularity”. Yet almost all human rights bodies insist that the provisions are “draconian”, and provide the Army with a licence to kill. The latter cite several instances of alleged excesses by the forces, facilitated by AFSPA. The Law Commission has recommended dilution of some of the provisions, the Army has objected. Since successive governments have backed off from “belling the cat”, the petition just presented in court might provide opportunity for a comprehensive fresh look. Long-term national interests would be best served if a balance is struck.